​The main focus of the women's ministries was to reach out and help others in need, whether physical, spiritual or financial. Once a month, they met to sing, pray and share how God has answered prayers. Luncheons and dinners were also sponsored by the women's groups. 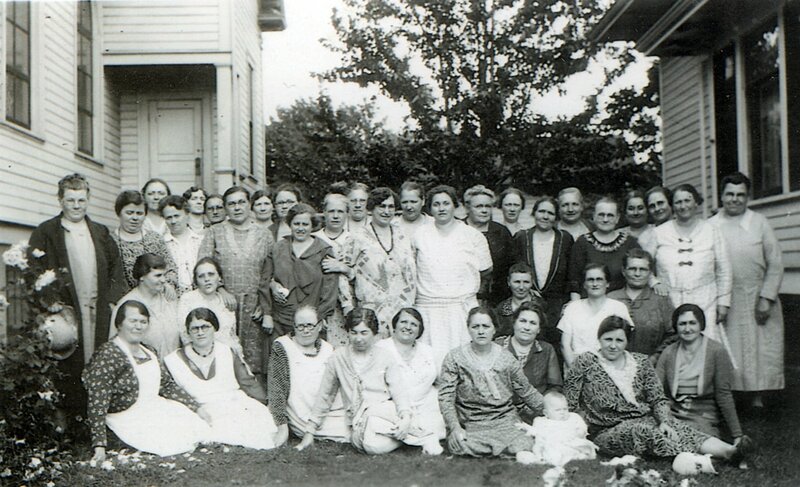 This is a photograph of the 1930 Tabitha Society. This was the first ladies group that named themselves after a disciple of Jesus who was known for her good works and charity. Courtesy of Harold and Loretta Kammerzell.